Let’s just get this out of the way up front. Holy crap these are cool. If you’re looking for the best golf irons to wow your buddies, these are the best golf clubs for you. 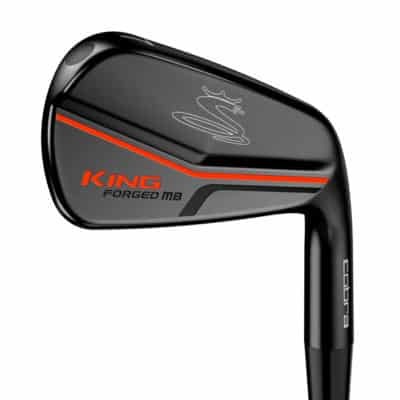 The Cobra King Pro Irons are possibly the coolest looking irons Cobra has ever produced. It’s like they took Rickie Fowler and made a golf club based around his modern style and respect for tradition. 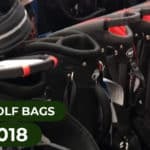 After a number lackluster years in the manufacturing game, Cobra owes a debt of gratitude to Rickie for helping bring them back into the mix. 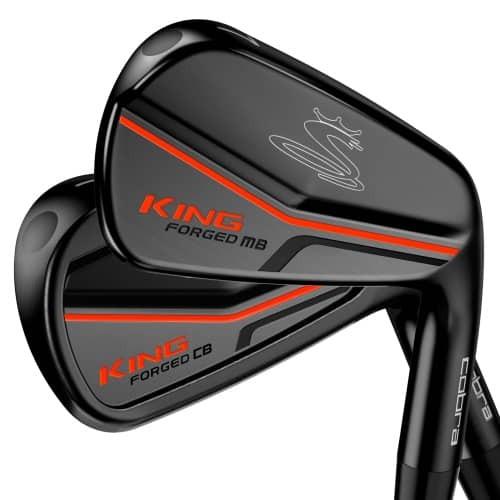 The Cobra King Pro Irons are forged golf clubs and have a super slick looking black gun metal finish. They also have orange and black paint highlighting on the back of the clubhead. In addition to their slick look, they’re a mixed or progressive set. This means the longer irons are cavity backs while the shorter irons transition into muscle backs. This idea is a pretty common feature now and for good reason. Golfers have more control with their short irons, so if you’re a good player, why not have muscle back short irons? It makes sense. In a nutshell, these golf clubs are awesome. Right now you should be saying to yourself, great they look good, but how do they play? Aesthetics are great, but the golf Gods don’t care how great your irons look. 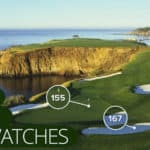 What matters is whether they can help you produce lower scores and enjoy the game a bit more. Good news – the Cobra King Pro Irons play great. 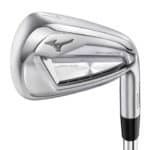 To be sure, these are what we refer to as “players irons.” This means they’re meant for good players. The Cobra King Pro irons feature smaller club heads and need to be struck properly to obtain optimum ball flight. However, these golf clubs provide solid feel and a crisp sound that we’re all looking for at impact. 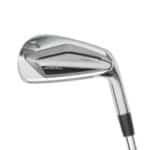 Golfers also love the progressive structure of the clubs with muscle back short irons. All in all, these can do more than hold their own among the best golf clubs out there. Let’s talk a little more about how the Cobra King Pro irons look. The dark gun metal finish a new and welcomed addition to the golf club world. The black finish is highlighted by the orange paint on the back and gives the irons a certain flare that’s hard to describe. These are definitely designed with lower handicap players in mind and have a thin top line. Despite the longer irons being cavity backs, they don’t have incredibly wide soles meant to avoid digging to get the ball in the air. If you need this assistance then these aren’t the irons for you. But if you don’t and you are starting to shape the golf ball or shape the golf ball, these are a great set. The muscle back shorter irons look like professional tour quality irons from Mars. They’re just cool. Period. As we mentioned before, these golf clubs are not for beginners. 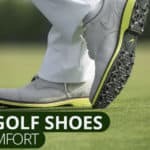 They’re designed for golfers shooting at or below the low to mid 80s consistently. 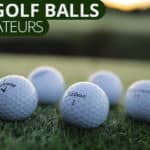 If you’re just starting out in the game or still learning to hit truly functional shots on a regular basis, you should check out some of our game improvement iron reviews. However, if you’ve achieved a repeatable swing and consistently shoot in the low 80s or lower, the Cobra King Pro Irons certainly deserve your attention and are the best golf clubs for aesthetics. Be warned though, all of your friends, and even some strangers, will probably ask to hit them.